To adress the myriad of environmental, health and economic challenges on the horizon we need a generation of scientifically literate students. As parents and educators we must increase engagement, build excitement and help students understand the importance of science. 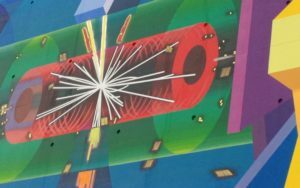 In this challenge CERN, the European Organization for Nuclear Research, challenges parents, teachers, and students to find innovative ways to make science matter! Essential Question: How can we increase interest in, and committment to science and math? Why do students lose interest in science? How does science connect with other suibject areas? What are the qualities of successful science programs? How can we make science and math more accessible? Review the current research on science education. Review data from the school and district level to find when students lose interest in science. Explore different approaches to teaching science. Talk with students about science to learn when they lose interest. Explore ways to integrate science throughout the curriculum. Interest, motivation and attitude towards science . . .
Synthesis – Using the research findings from your Investigations develop a synthesis that demonstrates a clear understanding of the challenge. For help with creating a synthesis explore this resource.